Deuteronomy 32:33, Their wine is the poison of dragons, and the cruel venom of asps. Isaiah 28:7, But they also have erred through wine, and through strong drink are out of the way; the priest and the prophet have erred through strong drink, they are swallowed up of wine, they are out of the way through strong drink; they err in vision, they stumble in judgment. Proverbs 20:1, Wine is a mocker, strong drink is raging: and whosoever is deceived thereby is not wise. 1. Alcohol is a drug. Ethanol is listed as a psychoactive drug. A psychoactive drug is a chemical substance that crosses the blood–brain barrier and acts primarily upon the central nervous system where it affects brain function, resulting in alterations in perception, mood, consciousness, cognition, and/or behavior. Lupulin is an additional psychoactive drug found in beer. Lupulin is a hypnotic and sedative. • Most psychoactive drugs are controlled substances in the United States because of their potential for abuse. • Most psychoactive drugs are issued by prescription of a Medical Doctor. • Alcohol alters mood, perception, consciousness, cognition, and behavior and creates euphoria. • Ethanol and Lupulin can be powdered and ingested in capsules, absorbed through the nasal membrane ("snorted"), they can also be injected intravenously, or smoked. • Alcohol's first listed effect is creating a feeling of happiness. This feeling of happiness creates other subtle, psychological changes (feelings of confidence, friendliness, and talkativeness). A person's feeling of alcohol-happiness is artificial and temporary. • Alcohol is listed as a depressant drug but by altering dosage it can act as a stimulant or a narcotic. It possesses some of the characteristics of a sedative, a hypnotic, an analgesic and a narcotic. Most psychoactive drugs are illegal to use without a prescription and Doctor's supervision because they are highly addictive. Ethanol and Lupulin are both addictive drugs. • Alcohol is psychologically addictive. This is a very subtle and dangerous form of addiction. Drinkers unconsciously become dependent on the psychological changes that Alcohol produces (feelings of happiness, sense of well-being, confidence, friendliness, talkativeness). • Alcohol creates an emotional addiction by altering mood and creating euphoria. The sales gimmick of Bars and Restaurant-bars is to advertise "Happy Hour." Literally hundreds and thousands of people are emotionally addicted to the false "happiness" that is the initial effect of Alcohol. • Alcohol is physically addictive. In time the body becomes accustomed to metabolizing Alcohol and becomes dependent upon it. Like other drugs, the amount ingested in order to achieve the desired result continually has to increase. This gradually creates a physical addiction. • Alcohol damages brain cells, the liver, stomach, esophagus, lungs, and heart. • Through the blood stream, Alcohol reaches every system of the body. • Alcohol is physically damaging, emotionally damaging, and psychologically damaging. • Alcohol is damaging through the addictions it creates. Alcohol lowers inhibitions; silences the conscience; impairs judgment; slows response. • There are ways to be happy without drinking. • There are ways to feel friendly without drinking. • There are ways to have a good time without drinking. • There are ways to socialize without drinking. • Social drinking, moderate drinking, and recreational drinking are all ADDICTIONS. Drinkers cannot have a good time or enjoy themselves or their company without Alcohol. • These are addictions that make millions of dollars for special interest groups, so they are socially acceptable and politically correct. • The more you use Alcohol to "break the ice"; the more you'll need to use Alcohol to break the ice. • The more you use Alcohol at "Happy Hour"; the more you'll need Alcohol at "Happy Hour." • The more you use Alcohol because of the confidence it gives you; the more you will need Alcohol to be confident. • Alcohol makes dependents. It creates dependencies that are unrealized or denied. 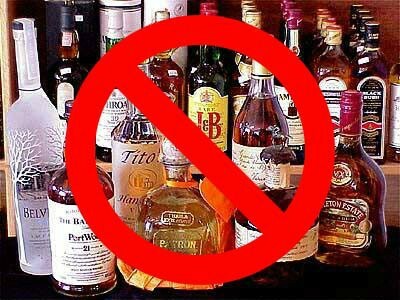 (Poisons body, Proverbs 23:32) When enough Alcohol is ingested, the human body shuts down and dies. You should not drink a drop of this poison. Add this information to the multiplied deaths due to Alcohol-related auto accidents, murders, rapes, and crimes and it becomes obvious that you should not drink Alcohol. Are you addicted? Jesus Christ Saves Sinners. He saved me from a life of wasted Alcohol-years. He can do the same for you. 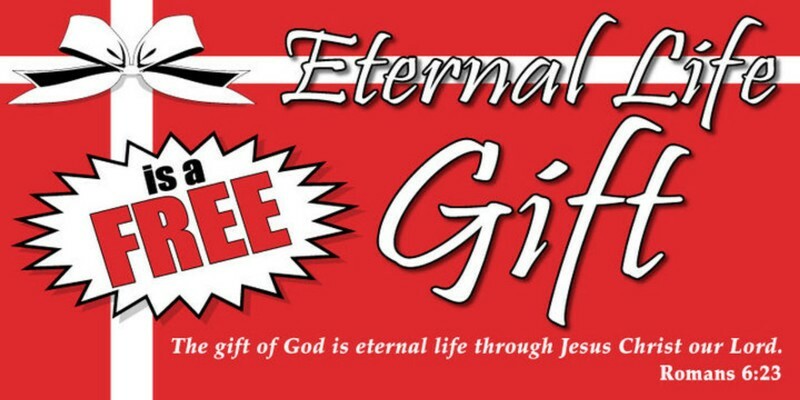 Eternal life is a free gift. Please read the following tract and accept Jesus Christ. He can deliver you from the world's most dangerous drug - Alcohol.